Tired of playing Hearts and Solitaire by yourself on the computer? 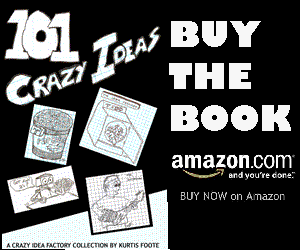 Do you want to have a card game with real physical cards, but can’t find anyone to play with you? 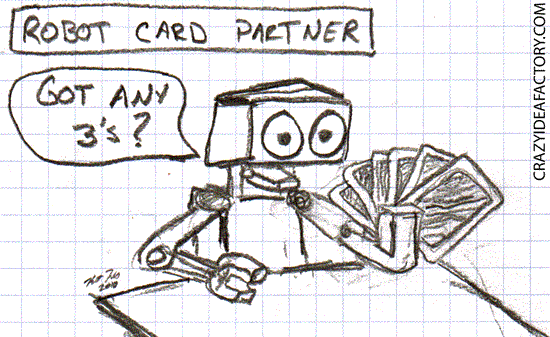 The Robot Card Partner is what you need. Sit him down in a chair across from you, plug him into the wall and you have yourself a Pinochle partner. Order more units and you will have a whole table full of card players. The robots have card player personalities programed in, so some of them are sore loosers.